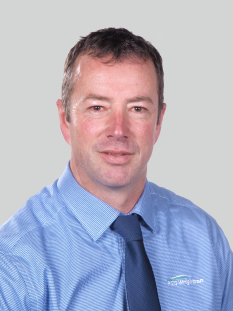 Bevan Edwards has been working in and around the farming sector since 1997, from farming the family farm, 50/50 share milking and equity management to sales and servicing on Wairarapa farms, specialising in the dairy sector. Having lived in the Wairarapa with his family of Rachael, Claudia, Jemima and Jesse, Bevan has built up a strong network within the farming lifestyle and sporting community. "Bevan's enthusiasm and work ethic were outstanding and his hard work helped me achieve a premium price for my property. We really enjoyed working with Bevan and look forward to working with him again."